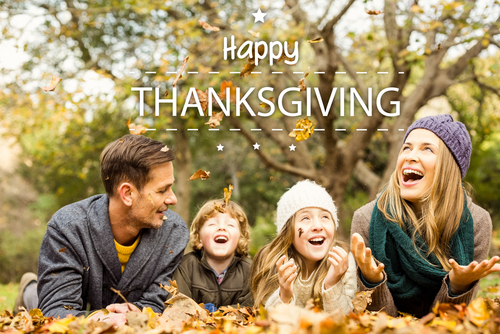 Everyone at Prairie Spine would like to wish you a very Happy Thanksgiving, from our “family” to yours! We are grateful for your support and trust as we work together to improve your quality of life so you can spend time doing what matters most! In observance of the holiday, our office will be closed on Thursday, November 22nd, to allow our employees the opportunity to spend time with their families. We will resume normal business hours on Friday. We hope you have a wonderful Thanksgiving!